Join Gummibär in his biggest adventure! 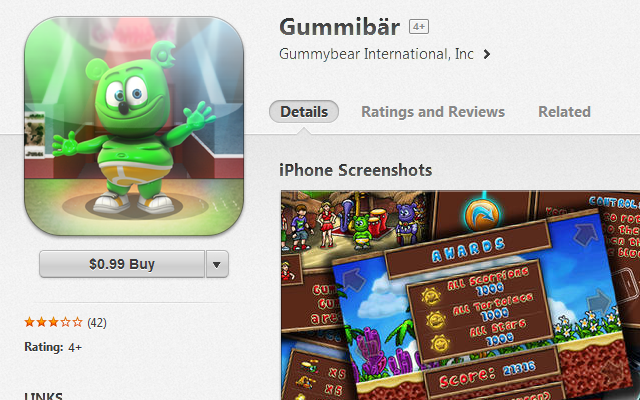 The Gummibär Game is a classic run and jump action game that includes three different minigames. Explore mysterious islands and face deadly challenges, impress everyone with your dance moves, and escape disaster and doom by navigating a river full of sharks and a sky full of angry rain clouds. instruments and dances so that he can win the championship competition. 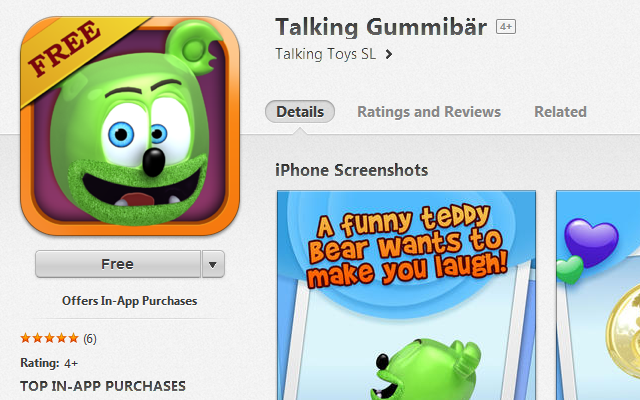 Good clean fun with Gummibär – everyone’s favorite gummy bear! Join him as he takes a bath and pop all of the bubbles before they get away! See how many levels you can get through. 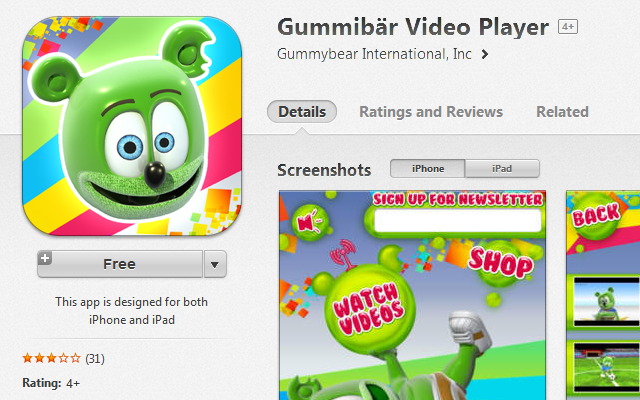 Watch all of your favorite Gummibär videos on the official “Gummibär Video Player”. 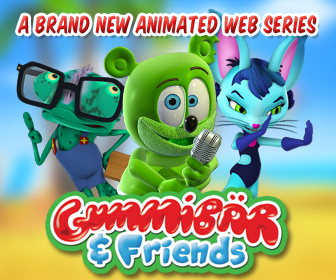 It features all of the videos posted on Gummibär’s official YouTube channel including “I Am A Gummy Bear (The Gummy Bear Song)”, “Nuki Nuki”, “Go For The Goal”, “Mr. Mister Gummibär” and more. Also available on Google Play! Discover the most famous gummy bear of all time! 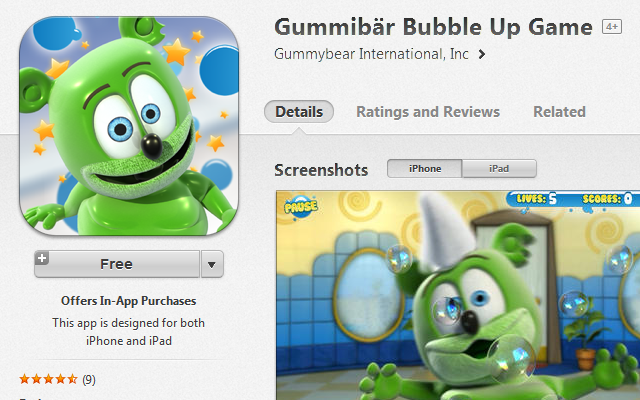 Gummibär is a small, sweet and cute little bear who loves making children laugh with his funny dances and entertaining songs! Use your finger to touch the screen and see Gummibär’s fun reactions and animations, learn how to play the tuba with your new little friend, listen and dance to Gummibär’s most famous songs, have a ton of fun playing the supergame, and enjoy personalizing and sending funny e-cards to all your friends!